Michael Helquist, "Portland to the Rescue: The Rose City’s Response to the 1906 San Francisco Earthquake and Fire." 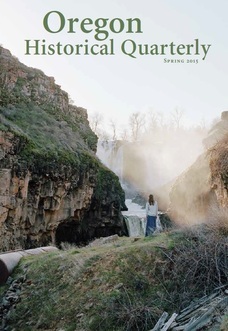 Oregon Historical Quarterly, Volume 108, Number 3 (Fall 2007). The damage from San Francisco’s earthquake and fire in 1906 stunned the people of Portland, Oregon. The greatest natural disaster for nearly one-hundred years left 200,000 San Franciscans needing a massive amount of aid, but there was no federal agency or national Red Cross ready to respond. As firestorms raged across the Bay Area, Portlanders organized a comprehensive relief campaign. "Portland to the Rescue" reveals this little-known episode of Oregon’s history and describes how the Rose City’s tradition of community organizing and “civic housekeeping” led to an outpouring of relief and medical care on a scale seldom seen before the devastation of Hurricane Katrina. One focus of the story is the Oregon Doctor Train – a contingent of doctors and nurses who rushed to the stricken city. The only woman physician among them was Marie Equi, who later received a medal from the U.S. Army for her services. Michael Helquist. 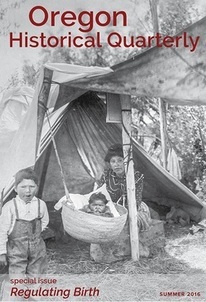 "KAJ Mackenzie, Marie Equi, and the Oregon Doctor Train: Portland’s Response to the 1906 San Francisco Earthquake." Presented May 12, 2006. ​Oregon doctors and nurses volunteered for potentially hazardous duty in San Francisco after the devastating 1906 earthquake and fire. This lecture describes the individuals and their experiences in the disaster zone, and the mixed reception for some of Portland's top medics. Michael Helquist, "Lesbian to the Rescue." Presented April 11, 2006. As part of San Francisco's series of centennial commemorations of the earthquake and fire disaster in 1906, "Lesbian to the Rescue" highlighted the role of Portland's increasingly prominent Dr. Marie Equi as part of the Oregon relief mission to the city. She supervised Oregon nurses stationed at the U.S. Army hospital in the San Francisco Presidio. Dr. Marie Equi was a fiercely independent Oregon physician who was engaged in the political turmoil and social change of the late nineteenth and early twentieth centuries. She was a fearless advocate for woman's suffrage, labor rights, and free speech, and her raucous protests against imperialism and war gave her a reputation in Portland as one of the most outspoken agitators in town.For all her boldness, Equi was a dedicated caregiver who held her profession so dearly that even her close companions called her "Doc. 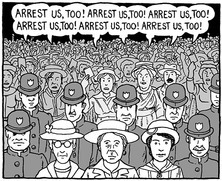 ​This early article about Marie Equi briefly re-enacts the explosive incident in post-frontier Oregon when Equi protested the mistreatment of her woman companion by horsewhipping Rev. O.D. Taylor, a local school superintendent.